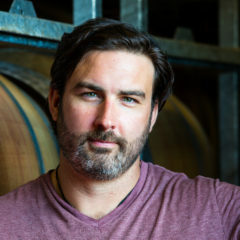 DECIBEL WINES was established in 2009 by winemaker and journeyman Daniel Brennan. Having travelled North America and Europe with a band of musicians Daniel settled back into Philadelphia at his family’s historic neighborhood spot, McCrossens Tavern. It was there Daniel discovered New Zealand wine and started a new journey, this time to the other side of the world, to study Wine Chemistry and live in Hawke’s Bay. Daniel began studying under some of the area’s top winemakers and producers at places like Te Awa Estate, Vidal, Unison Vineyard, William Murdoch and Paritua Vineyard and Winery. During this stretch Daniel worked the vines for five seasons on the Gimblett Gravels. Experiencing the blazing Hawke’s Bay sunlight, raw Gimblett Gravels soil and unique terroir of this old river bed he was able to experience its delights from bud to bottle. All the while working for other producers Daniel slowly began to make more of his own wines under the Decibel label, working with some of the region’s top winegrowers. 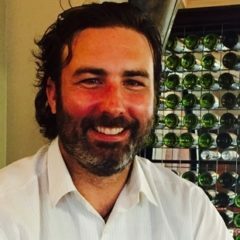 In 2014 Daniel began producing a Malbec dominant wine from the Gimblett Gravels Wine Growing District in a style uniquely his. In 2017 Daniel took the leap to focus on Decibel Wines while still working and promoting the region internationally through his ‘touring’ and increasing popularity of his own podcast ‘Vintage Stories’.